Point & Center is a new feature that seemed to be pretty popular last week. I plan to make this at least a weekly post briefly highlighting some news and offers in the points & miles world. 1) 1,000-1,500 Free Air Berlin Miles – Rental car company Sixt is offering 1,000 free Air Berlin miles for registering with Sixt here. Brush up on your German or use Google Chrome to translate the page for you. Note you must first create an Air Berlin account here (if you do not have one) in order to have the miles deposited in your account and they are currently offering 500 miles just for signing up and giving them your email address! Remember Air Berlin is a transfer partner of Starwood so you accumulate additional Air Berlin miles via SPG. 2) Check the Rewards Earned on your Credit Card! 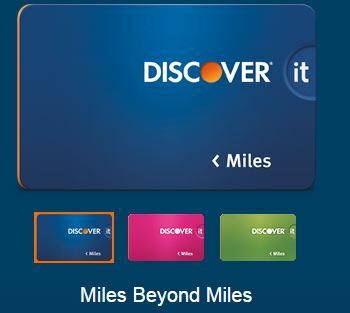 – After I broke the news on the easier way to track rewards on the Chase Freedom card, I went through all the dining & travels transactions on my Chase Sapphire card (ya, I’m a little obsessive) to make sure I earned the appropriate 2x bonus and I found a charge that was not awarded the extra bonus points. Yes, it was only $3 bucks so not a big deal but it was for a coffee at Gregory’s Coffee so it should have counted. If this happens, I recommend securing messaging Chase to look into it and fixing it. Basically, the principle here is always check your transactions because if this was a $1,000 dollar charge, the extra 1,000 points start adding up quickly. I want my extra 3.24 points please! 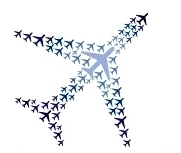 3) Up to 5,000 Bonus Delta Skymiles per Flight! – Most of the time promotions like these are targeted but this is open to anyone and I think its actually quite a good offer for a leisure traveler. If you travel to the Caribbean, Latin America or Mexico from September 2 through December 11, you will earn an extra 2,500 to 10,000 miles per roundtrip flight with no limit! And that’s on top of the miles you would already earn from flying. You must register before purchasing the tickets and all tickets must be purchased by September 30th. Even if you are not sure you will be flying Delta on these routes during that time, register just in case here. 4) New TSA Policy – Lastly, the TSA recently announced that on flights back to the US from abroad, they might require you to prove your cell phone or laptop can be turned on as the fear is terrorists might have figured out a way to “hollow” out a phone or laptop and turn it into an explosive device. The easy solution is to always carry a charger on you in your carry-on luggage but a real question to me is – what do you do if your phone or laptop actually breaks on vacation and can’t be powered on? This is obviously unlikely but still a concern to me at least.